And although duos have made a comeback in recent years, two musicians playing together on the same instrument remains rare. Not that it’s without precedent, of course. Two drummers? Check. (Milford Graves, who else, with Andrew Cyrille.) Two bassists? Check. David Holland and Barre Phillips recorded Music from Two Basses in 1971 and William Parker conspired with Stefano Scodanibbio ten years ago. Two pianists? More common, sure: Marian McPartland, most famously, played with many of her luminous guests in the long-running NPR program Piano Jazz, and the first Blue Note album, back in 1938, was a duo of the boogie-woogie pianists Albert Ammons and Meade Lux Lewis, enthusiastically reimagined by Jason Moran and Robert Glasper at Town Hall four years ago. 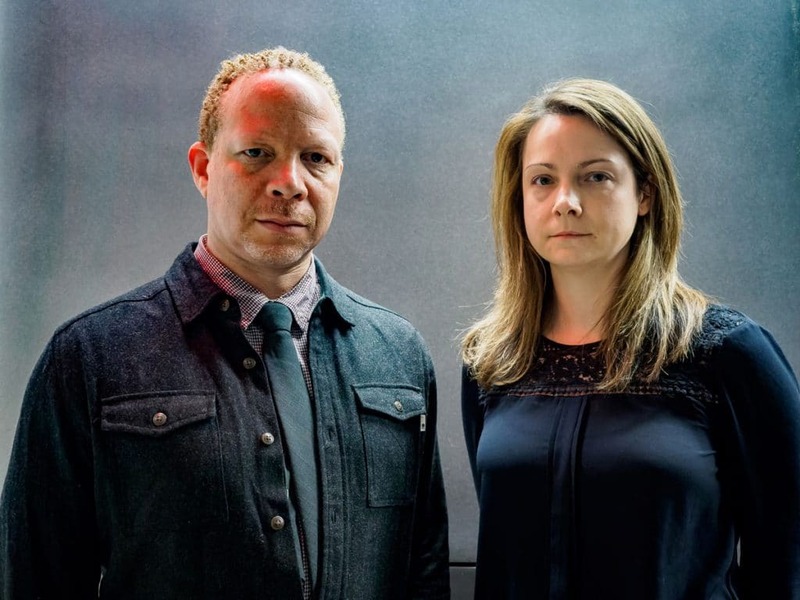 But no two pianists have played with the kind of freedom and grace, abandon and emotion as Kris Davis and Craig Taborn on their new album, Octopus (on Davis’s label, Pyroclastic Records). 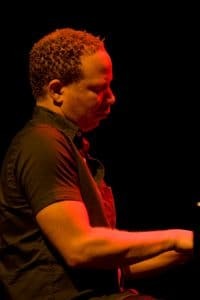 Davis, 38, and Taborn, 47, are among the most respected pianists working today: rock stars in the jazz world, if you will (if the former remains more “indie”). Davis, from Vancouver but New York based, has made a name for herself mainly on small European labels, while Taborn, a Minneapolis native, came to New York in the 1990s, mainly as a sideman, with musicians such as James Carter, Roscoe Mitchell, and Tim Berne. He’s now part of the esteemed ECM crew and his 2017 release, Daylight Ghosts, was cited by many critics, including this one, as one of last year’s best. Davis and Taborn felt there was more to say. So in the fall of that year, they, along with sound engineer Ron Saint Germain, took the show on the road, to twelve cities throughout the U.S.
As Davis suggests, it is a conversation—and, I’d add, a collegial debate—and an intellectual one for sure; it’s perhaps no coincidence that five of the concerts were on university campuses and another at the Kennedy Center. 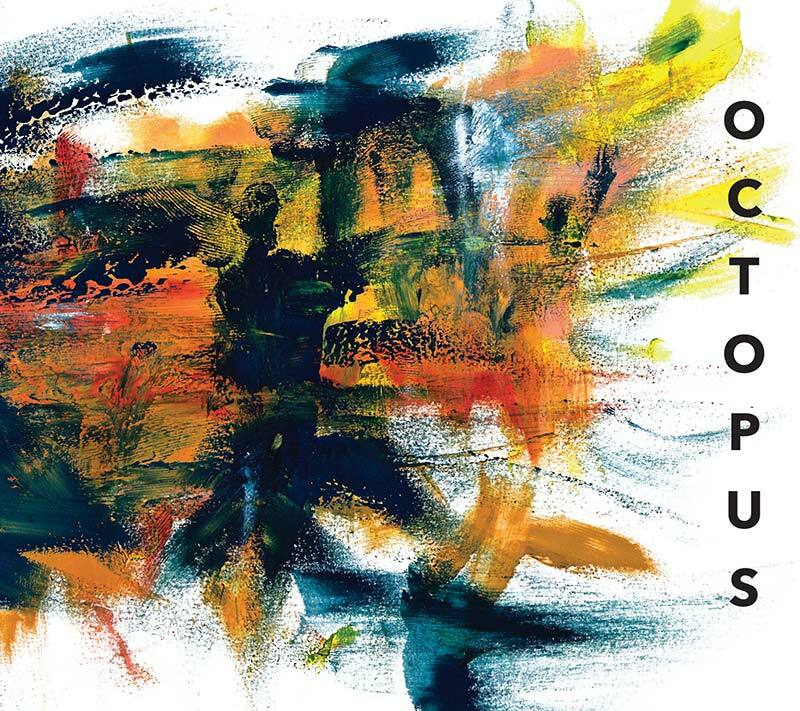 Seven pieces from the various dates—at the University of Michigan; UC San Diego; and the Wexner Center for the Arts at Ohio State—were selected for Octopus, three composed by Taborn, two by Davis, plus a Carla Bley tune, and another by Sun Ra, all of which offered ample space for free improvisation. If two thinkers in dialogue—and Davis and Taborn are the deepest of thinkers musically—sounds like a potentially long afternoon at the 92nd Street Y, this encounter, on the contrary, is full of engagement and daring. One will bring up an a thought or a phrase and sometimes repeat it, and the other might elaborate on it, or change direction. The interplay also recalls the physical as much as the cerebral, as if it were in a sporting context. At times they’re in opposition, whacking ideas back and forth, sometimes at a frenetic pace—as on Davis’s prolix “Chatterbox”—while other points are played as if the two are doubles partners, one taking to the net, the other intuitively drifting back to cover the baseline. It leaves plenty for the highlight reel. Taborn’s three “Interruptions” pieces fuse the free-expressionism of Cecil Taylor (and his disciples) with an edgy tenderness that suggests Don Pullen — someone, Taborn told me early last year, whose work has been important to him. “Ossining,” by Davis—who recently moved to that Westchester town from Brooklyn with her family—is a blisteringly rhythmic piece over the first half of its eight minutes, the two trading staccato figures, that transitions into something quieter and lyrical. The duo’s cubist reworking of Carla Bley’s “Sing Me Softly of the Blues”—as lovely as its title implies—segues, medley-like, into Taborn’s third “Interruptions” piece, where they volley short phrases to and fro in the stirring final quarter. The album ends with a good old-fashioned ballad, “Love in Outer Space,” which Taborn selected from the catalogue of Sun Ra, that good old-fashioned futurist himself. It’s a gorgeous piece already—whether in Sun Ra’s vocal single version or his extended instrumental—and their rendition, slowed down here, the drama heightened, is ravishing. What opens as almost childlike, with Taborn in the highest of registers, progresses to a triumphant finale. You can rack your brain at times figuring out which pianist is which—on this song and throughout the set—but, well, you needn’t. It’s an intellectual exercise, true; it’s also, simply, beautiful music. 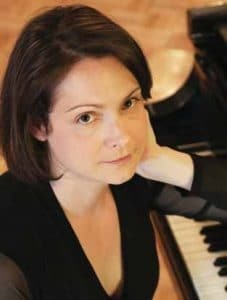 Davis—whose 2013 Massive Threads was as good a solo piano album to come out so far in this young century, maybe bested only by Taborn’s Avenging Angel from two years prior—was at the Stone last week, where she led a variety of trios, quartets, and sextets. In her 17 years in New York, though, she’s probably most often played in the narrow, claustrophobic downstairs basement of the Cornelia Street Café. It’s an endearing spot, sure, but there’s this other downstairs basement, a few blocks away at 178 Seventh Avenue South. She’d be a worthy headliner there, even if only one grand piano fits.